Suspicious device found in the 25800 block of Gading Rd. Our officers are investigating a suspicious device found in the 25800 block of Gading Rd. 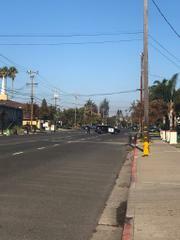 The Alameda County Sheriff's Office Bomb Squad is on it's way to assist. We are asking our community to please stay out of the area until we complete our investigation.